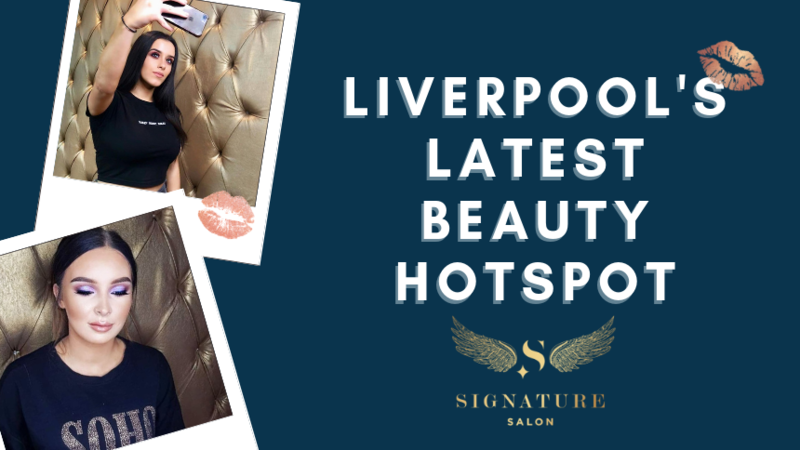 It seems like only yesterday Signature Living introduced a whole new concept of group accommodation to Liverpool starting with the ultimate Liverpool party apartment on Victoria Street: The Fortune Apartment. Now we are over the moon to be reintroducing this stunning group accommodation back to groups of six staying in the city. 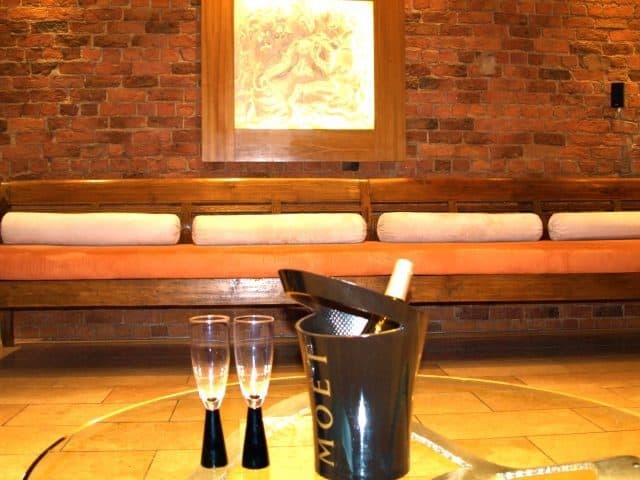 Fortune is a mind-blowing accommodation experience in Liverpool that cannot be replicated anywhere else. The striking interior has the feel of a New York loft complete with exposed brick walls and state of the art kitchen facilities. As with every Signature Living’s Liverpool party apartment the furnishings of Fortune are original and of a high standard of design. 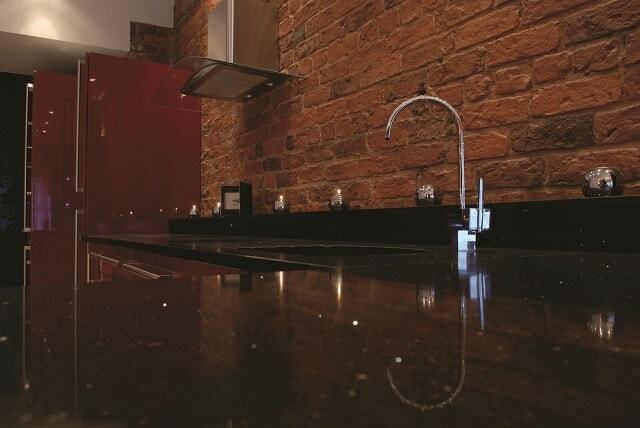 From the black marble kitchen worktops, shining glass topped dining table and carved wooden day bed, every touch has an elegance and refinement that’s perfect for an unforgettable accommodation experience in Liverpool. Up to six guests can enjoy overlooking the city streets through the impressive floor to ceiling windows that have automatic blinds to block out the street lights and provide an outstanding party atmosphere. Each immaculate bedroom has a unique feature that makes staying in Fortune a one of a kind experience. 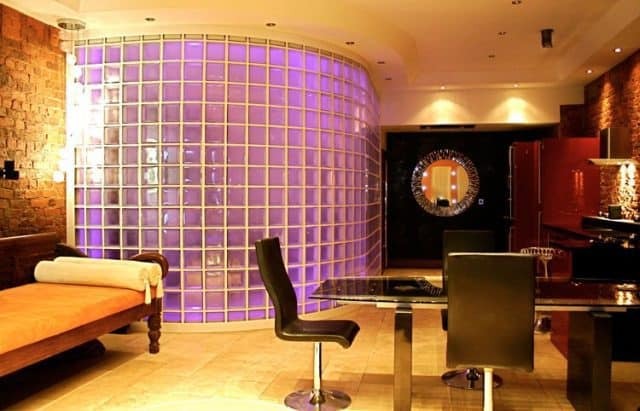 A unique design concept from Signature Living placed one of the double beds inside a glass brick cylinder. The mood lighting can transform the colours of the glass wall to match the mood, from disco lighting to a more calming relaxed look. 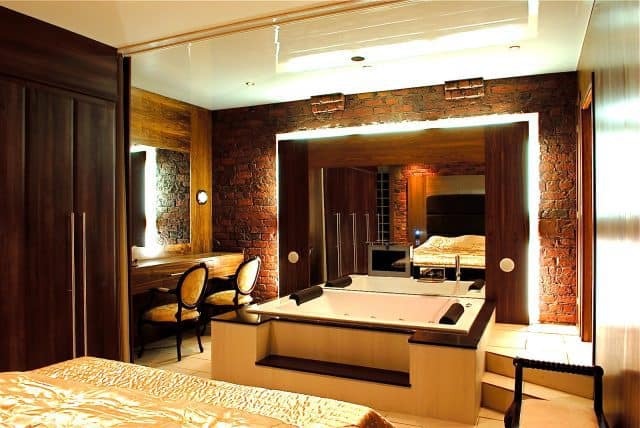 This is where the magic happens as bedroom two inside this amazing Liverpool party apartment comes complete with a double jacuzzi bath with a built-in small screen TV. Stepping out of the bath and guests can gather on another huge double bed to watch a movie on the hidden fold out cinema screen. The bedroom also comes complete with chic built in wardrobes and a luxurious vanity. Aside from the bedrooms, the open plan living quarters span the length of the entire apartment complex. 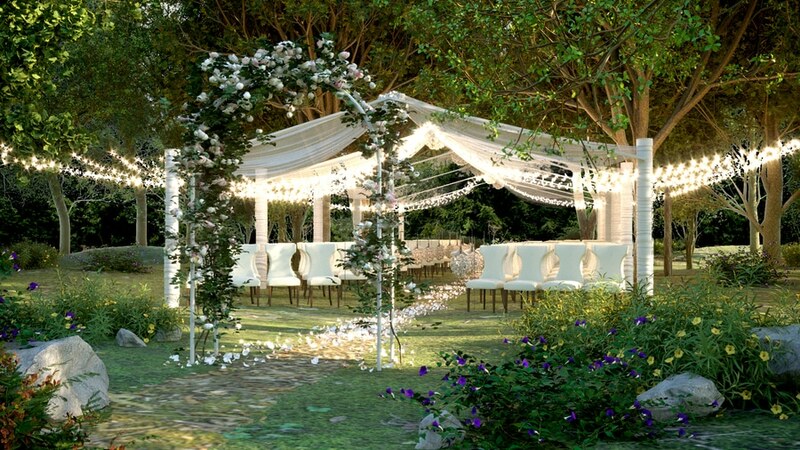 The built-in party system allows for music to be played throughout the apartment and the rest of the features of Fortune can be controlled by a pre-set panel which has party mode, romance mode and everyday settings. 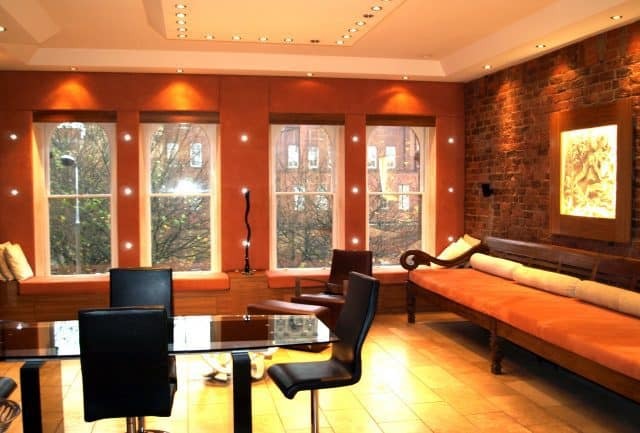 Simply call our helpful reservations team to book this unbelievable Liverpool party apartment for up to six guests. You will be amazed from the moment you step through the door. 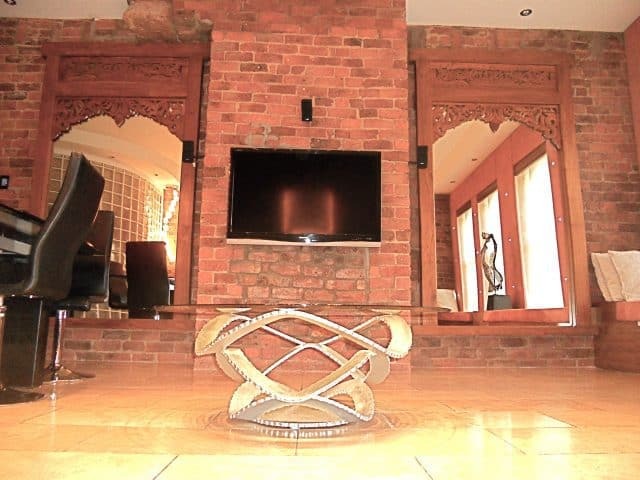 This stylish city centre group accommodation is perfectly located close to all the best bars, shopping districts and restaurants in Liverpool but with private secure access to the building, you can also enjoy relaxing in a home away from home. Our team can help to dress the apartment for any special occasion, simply enquire about our available party packages when booking. 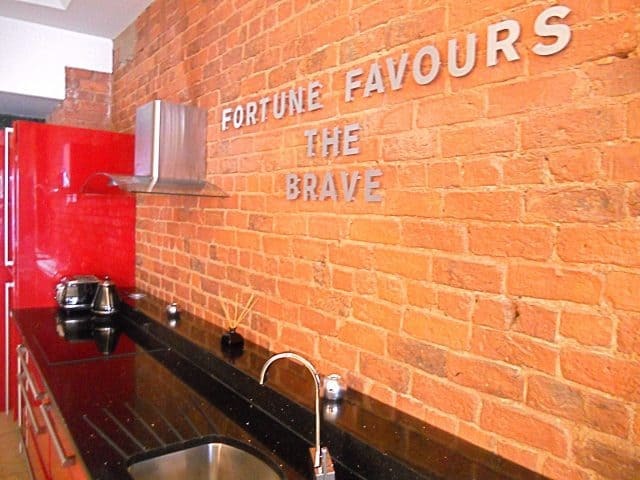 As the Fortune Liverpool party apartment provides all you need for your stay including tea and coffee, you simply need to bring yourselves and whatever party food or drink you need. If you don’t wish to carry everything on your travels to the apartment there is a handy supermarket less than two minutes’ walk away to stock up. 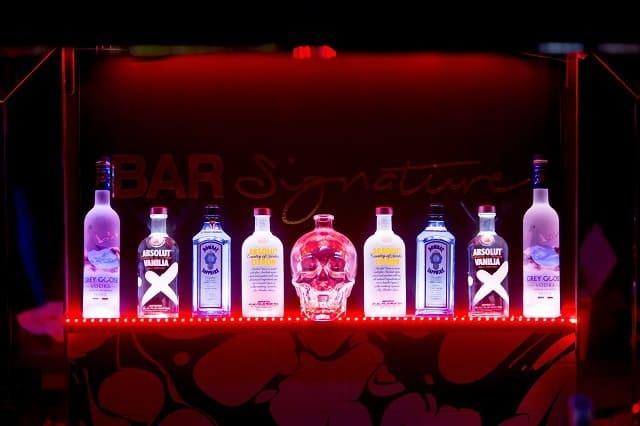 Bar Signature is one block away for all your Liverpool night out needs where you can book cocktail masterclasses and our famous VIP Booths. 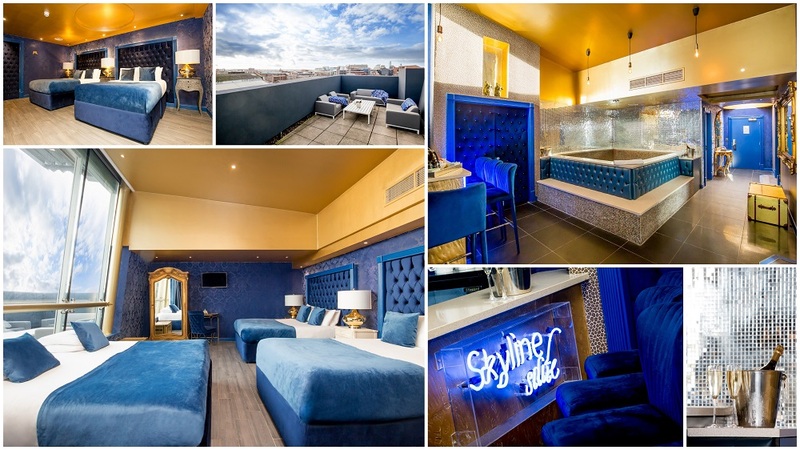 Call today on 0151 601 8801 or email info@signatureliving.co.uk to book your stay in the original Liverpool party apartment at Signature Living: The Fortune.